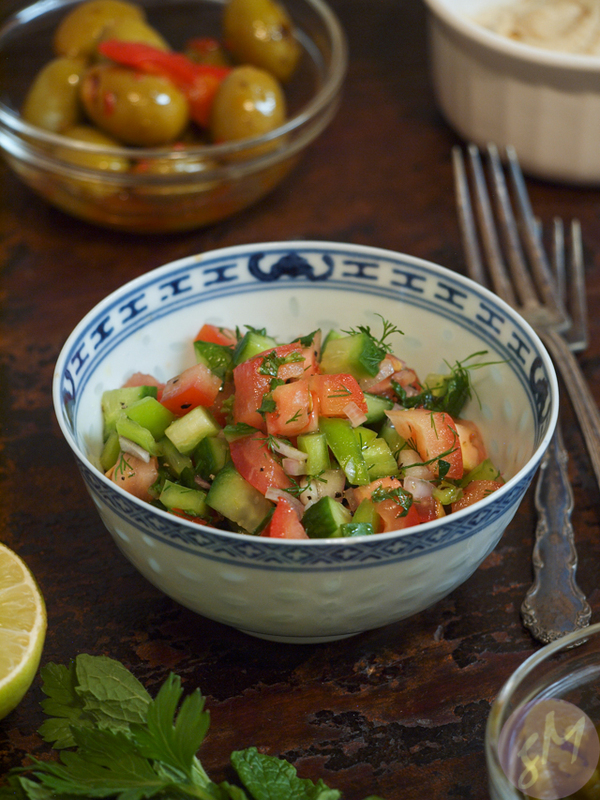 This is a recipe for a Persian-style cucumber and tomato salad that goes well with the recently posted shawarma recipe. You can substitute the lime zest and juice with lemon if you prefer. I like the mint in this recipe; along with the other herbs you can also add fresh cilantro. 1. Combine cucumber, tomato, pepper, shallot and herbs. Pour lime juice over the vegetables and add lemon zest. Season to taste with salt and pepper. Add olive oil. Serve and enjoy or refrigerate until needed. Have a wonderful holiday season, Kat!